Sr. Vice President IT – Jubilant FoodWorks Ltd. In his 22-year progressive career across Indian and global markets, Ramandeep Singh Virdi has attained excellent technical leadership and domain proficiency in varied business domains including airline, retail, travel, R&D, hotels, BPO and products. Over the years he has been associated with reputed industry leaders such as InterGlobe Enterprises, Interglobe Aviation (Indigo Airlines), vCustomer and RampGreen among others. As an IT leader and champion, he has proved his competence by setting up, scaling up and heading IT function from scratch, creating a well layered integrated IT infrastructure and delivering on the organisation’s business objectives and goals. His is a leadership role that necessitates regular liaising with the Board of Directors and other C-Suite level executives. His key areas of competencies are IT strategy and business alignment, digital and solution architecture, project management, IT infrastructure and systems administration, IT security, leadership and team development, amongst many others. 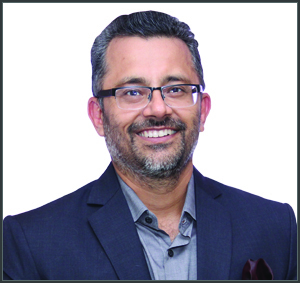 He believes in the power of fostering collaboration, empowering performance and driving excellence across business domains for delivering results in a constantly evolving business environment.